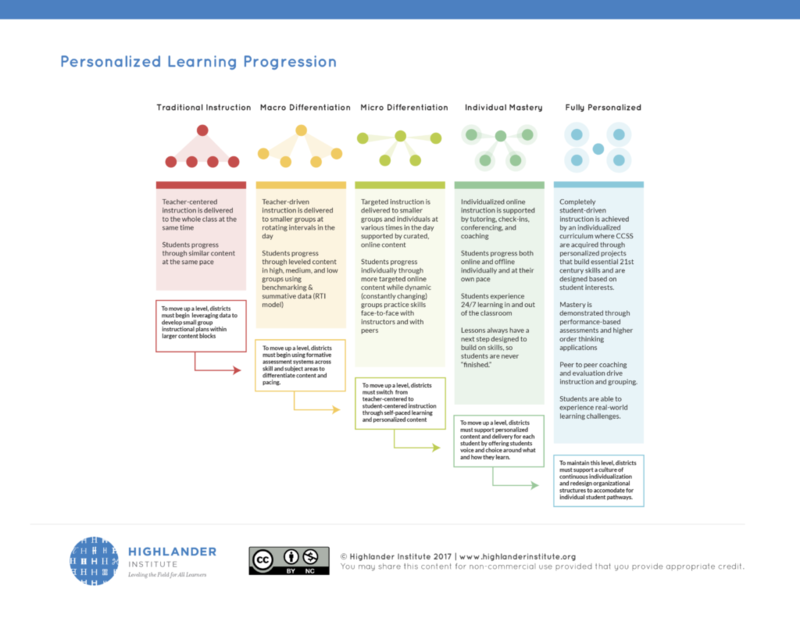 The Highlander Institute Blended & Personalized Learning Framework illustrates a pathway for scaling best practices across a school district. During the two years of the Fuse RI Fellowship, Fuse Fellows use this tool to guide partner districts in the pursuit of their visions. Our theory of action involves supporting small pilots of early adopter teachers and frequently reflecting and iterating throughout to build internal capacity and buy-in. Click the image on the left to view and/or download. 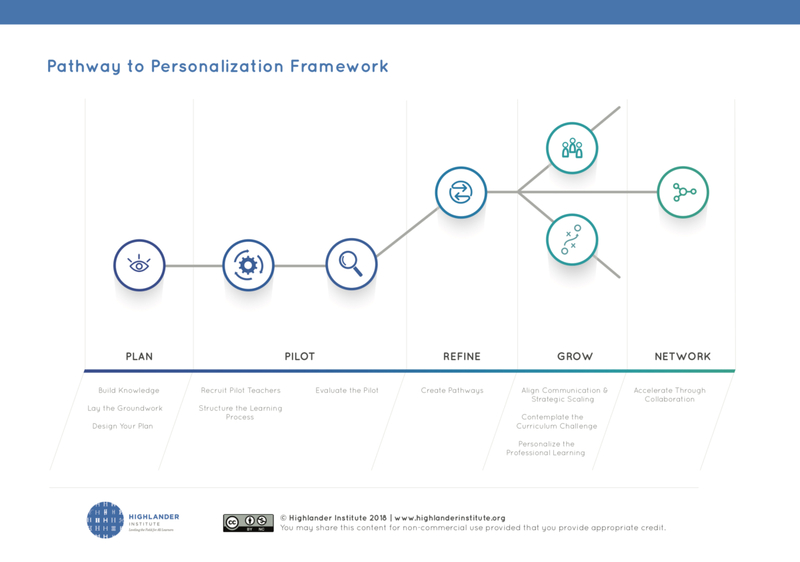 This progression illustrates different stages of personalized learning, from traditional, teacher-centered instruction to fully personalized, student-centered environments. The text below each column describes the shifts necessary to move along the progression. Highlander Institute staff and Fuse Fellows use this to frame coaching conversations with teachers implementing blended learning in their classrooms. The progression is non-evaluative, but does encourage any rightward shifts away from traditional models.